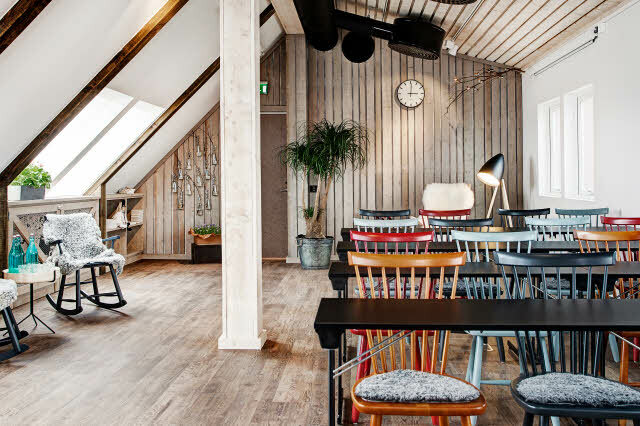 Stay at a medium-size hotel, with a friendly, homely feel, close to everything Gothenburg has to offer and next to the central station. Our restaurant is many a guest's favourite spot. The atmosphere here is relaxed. Why not try our restaurant, which serves well-prepared food made with local ingredients. Our hotel rooms are decorated in pale Scandinavian colours and on the top floor of the hotel, we have 2 unique meeting facilities for up to 40 or 20 people, which are suitable for both meetings and social occasions. We also offer parking in a secure garage; however pre-booking is not possible. Just outside our hotel you’ll find everything from cosy local bistros to the culinary delights of gourmet restaurants. Just pop in when you’re passing by reception and we'll be happy to help you find or book a table. Our close proximity to Gothenburg’s central station gives you the chance to reach many exciting destinations. Maybe you’d like to take a day trip to the coastal town of Varberg to explore its fortress and beaches, or take the tram to Korsvagen, where you’ll find Liseberg amusement park, Universeum science centre and lots more fun. Opposite the central station is Nordstan shopping centre with around 200 shops. Venture out to fashionable Avenyn in the evening, when the restaurants, bars and nightclubs come to life. Book conferences or meetings in central Gothenburg at hotel Scandic No. 25 in facilities suitable for both meetings and social occasions.